As a kick-off to the tour, Mulvahill will make his debut on the legendary Grand Ole Opry stage on March 22, 2019. Mulvahill kicked off 2019 with part one of his Himalayas headliner tour in January (with six of the shows selling out), and he just wrapped a second leg of dates opening for recent multi-Grammy winner Lauren Daigle on her sold-out “Look Up Child” tour. While on tour, Mulvahill stopped by NPR’s Tiny Desk Concerts “studio” in January where he recorded a performance that premiered last month (https://www.npr.org/2019/02/14/694700614/scott-mulvahill-tiny-desk-concert). His also latest single from Himalayas, “Gold Plated Lie,” went to radio in February. One of the most acclaimed bassists in Nashville, Mulvahill originally hails from Houston, Texas. He moved to Nashville post-college, where his life changed after meeting American music icon Ricky Skaggs and joining his Grammy-winning band, Kentucky Thunder. He toured with Skaggs for over five years, and in that time, first started writing songs on his upright bass. 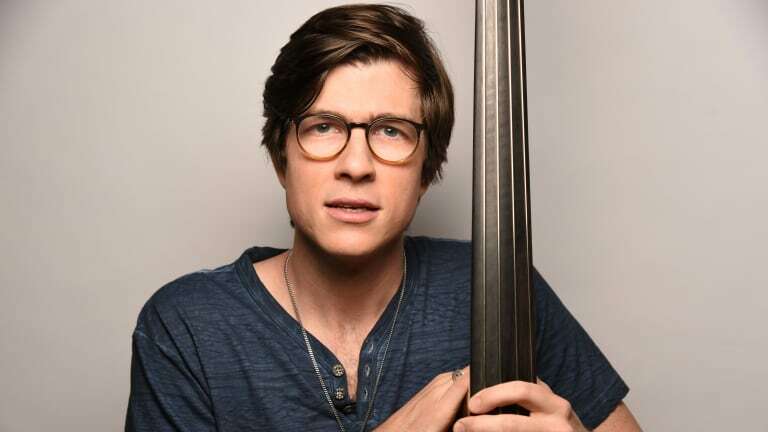 With his upright bass providing complete harmony and rhythm arrangements woven in among his vocals, Mulvahill is unique among a sea of too-similar singer-songwriters. A musician equally at home in a plethora of genres – Americana, rock, pop, country, jazz, gospel, even chamber music – Mulvahill displays an astonishing range and versatility, all of which is evident on Himalayas. The album was produced by Mulvahill, Charlie Peacock (The Civil Wars, The Lone Bellow) Gary Paczosa (Alison Krauss, Sarah Jarosz), and Shani Ghandi (Sarah Jarosz). Mulvahill’s songs have received honors or been featured in the International Songwriting Competition, John Lennon Songwriting Contest, and American Songwriter Magazine’s 30th Anniversary Contest, and he has had numerous cuts on other artists’ albums, most recently with GRAMMY-winning R&B phenom H.E.R. Mulvahill was a showcase performer at 2018 Americana Music Festival, and he has been featured on Lightning 100 radio’s Nashville Sunday Night series. He has shared the stage with some of the greatest artists of modern music, such as: Alison Krauss, Barry Gibb of the BeeGees, Bruce Hornsby, Brad Paisley, Peter Frampton, Steven Curtis Chapman, Emmylou Harris, Dave Barnes, Ben Rector, and many more. …more tour dates to be announced soon!